Creating compelling content for virtual reality is far from easy. And that’s where the new cameras that can create 360° video or intriguing photos come in. 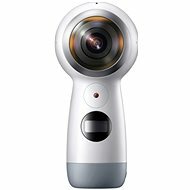 A VR camera comprises at least two dual lenses, each of which records the horizontal and vertical view at a 180° angle. Some models, however, go even further and offer considerably more sensors. The result is a captivating spherical video created primarily for owners of virtual reality glasses. This sensational technology is further enhanced by its virtually unlimited flexibility. Capturing sports activities and filming music concerts or other events gains a whole new dimension. Want to record a concert of your favourite band? Just film your surroundings and you can dive deep into the experience every time you watch it. Control apps are available for Android and iOS platforms.